Tesha Tramontano-Kelly’s son, Tommy, has been diagnosed with High Functioning Autism, Sensory Integration Dysfunction and Learning Disabilities. Her son, Jeremy, is her nephew, who was exposed to drugs in utero. Jeremy came to live with her at a young age and later was adopted. Her own family experiences taught Tesha to become an effective advocate for her children which propelled her into an advocacy career. Tesha has been with CTFSN since 2005 and has made helping families her life’s work. She feels that parents and caregivers that have knowledge and a self-care routine will be the best advocates for their children. 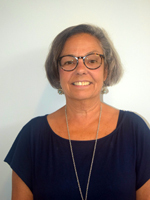 Tesha currently co-chairs the Medical Home Advisory Council, is a member of the Early Hearing Detection Intervention Task Force and the Help Me Grow Advisory Committee. 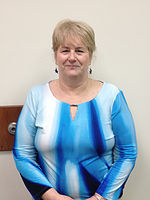 Trish Butler joined CTFSN in 2010 as the Northwest Family Support Coordinator. Trish moved from England to the US in 1999. Her daughter Emily was diagnosed with autism at age two. At age seven, an MRI revealed that Emily had a stroke in the cerebellum area of the brain very early in her life. Trish manages all of the CTFSN social media accounts and email distribution lists. 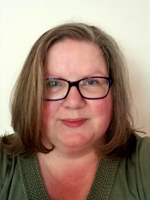 She created CTFSN Facebook groups for parents to share stories, lend support and discuss specific issues as Trish feels that technology is a great tool for building connections and lending supports in the special needs community. Trish is an author and has several self-published books in her historical saga Redway Acres and more recently a contemporary missing person novel based in NJ. April Dipollina became a parent advocate when her first child, who is now an adult, was diagnosed with multiple disabilities. As a result of her efforts to help her daughter and family, April volunteered and became an appointed member to many councils including the CT Family Support Council, the Medical Home Advisory Council, and the CT DDS Regional Advisory Council – Eastern Region. April is one of the founding members of the CT Family Support Network. April is currently the vice chair of the Camp Harkness Advisory Committee. Through her work as a Family Support Coordinator, April has been involved in many local and statewide initiatives. These include support groups, Camp Harkness, Creative Housing Workshops, and legislative advocacy. Last year, CTFSN honored April at their One Voice conference with the CTFSN Lifetime Achievement Award. As a recipient of this award, April received recognition for her advocacy work by the CT General Assembly, CT Governor Dannel Malloy and US Senator Christopher Murphy. April says it is an honor to work with all the amazing families in Connecticut. I always learn something that I can share with another family. That is what makes us a “Network”. Heather Graveline joined CTFSN in 2013. She has two sons that have different disabilities. 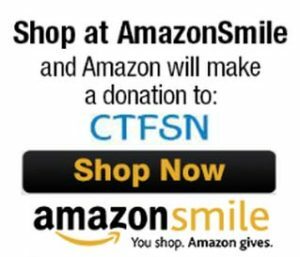 After months of research and finding support with CTFSN staff and other local agencies, she learned how to find resources that were needed to help her family. She is an administrator for the groups ‘Special Kids of the Northeast’ and ‘Sensory Friendly Movies Showings at Lisbon Landing’, and co-admin on ‘Special Mom’s Club’ all on Facebook. Along with another ‘special’ mom, Heather has created the Special Mom’s Day Out Series, a group that focuses on self-care of the caregiver. Melissa Kremmel joined CTFSN in 2015. She has three children, including an adult son who is diagnosed with Bipolar disorder and a younger son with autism, food allergies, and asthma. Her youngest child has also been diagnosed with ADHD. Experiences in advocating for her children have led her to help other families. 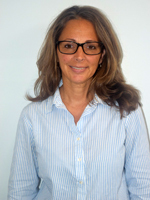 Melissa has previously served as Parent Co-Chair of the Waterbury Family Focus Partnership. 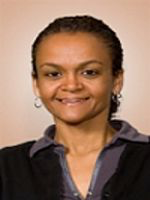 She has also participated in the Connecticut Network of Care Transformation workshops and actively participates in network building for Connecticut’s western region. 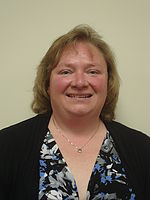 She currently serves as president for Plymouth SEPTA. Laverne Moore joined CTFSN in 2016. She has two children; her adult son has been receiving services since he was five years old. He has been diagnosed with ID, ADHD and LD. Laverne graduated from the PLTI, was a parent Mentor for Families United for Children’s Mental Health and created Norwalk Parents Supporting Parents Group. 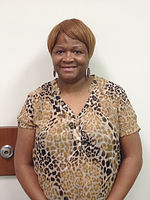 Laverne enjoys helping families to help themselves. Goviana Morales is the mother of 4 children. Two of her children have a diagnosed disability. Goviana’s son Anthony was diagnosed with autism at 18 months old starting her journey in advocacy. Through multiple training platforms such as CTFSN, Goviana was then able to identify concerns in her other children, resulting in diagnoses that included ADHD and Dyslexia. 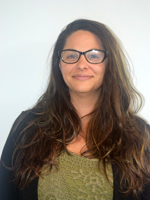 Goviana joined CTFSN in January 2018 as a bilingual Family Support Coordinator based in Hartford and supporting families in under-served communities. Maggy Morales joined the staff of CHDI in November 2008 as the EPIC Coordinator. She previously worked at the CT Association for Human Services providing education in community settings. She has been instrumental in raising awareness to eligible clients for the Food Stamp program. Maggy has a long history of advocacy and education in such areas as HIV and nutritional assistance. Crystal Sacco is the mother of 3 children. Her twenty-four-year-old son is on the autism spectrum and lives in a Continuous Residential Supports (CRS) home where he is flourishing. Given her son’s age, Crystal was raising him during a time when autism was not studied as widely as it is today. She worked hard to ensure his good health and happiness. Crystal earned her bachelors in early childhood with a minor in special education. 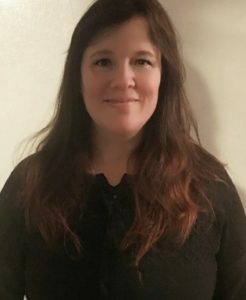 She has taken coursework in applied behavioral analysis and worked with special needs children in the paraprofessional capacity in reverse mainstream, mainstream self-contained and private settings for eleven years. Heather Solomon is a mother of four children two of which have hearing loss. Her oldest son was undiagnosed until he was four years old and implanted when he was five and again when he was six. Heather felt thrown into a world about which she knew nothing. With the help of advocates and professionals, she learned to advocate for her children. She is determined to help parents in similar situations, so they know they are not alone. Patricia Stavola is a Mom of four young adults. Two are her nephews whom she has raised since ages seven and nine. Both boys were diagnosed on the autism spectrum and ADHD. She is so grateful to the parents and professional groups who helped her on her journey learning about special needs and how to advocate for her children. Pat facilitates several support groups including a group for Families of Adults and Transitioning Teens. Getting her start with CTFSN as a Volunteer Parent Mentor in 2014, Pat finds rewards in supporting parents on their journeys to become strong advocates for their children.